Funds from World Land Trust (WLT) have saved an area of 41.17 acres (16.66 hectares) inside the Güisayote Biological Reserve of western Honduras. 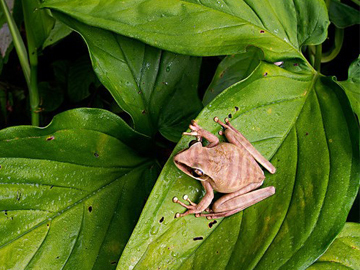 Güisayote is a particuarly diverse area of tropical forest, providing habitat for the Honduras White-lipped Frog (Leptodactylus silvanimbus), listed by IUCN as Critically Endangered, and other rare species. However, as is often the case in areas designated reserves in central America, Güisayote encompasses privately owned properties, which are vulnerable to exploitation. WLT’s Honduran conservation partner, Asociación Ecológica de San Marcos de Ocotepeque (AESMO), identified the property as a priority for purchase and permanent protection because of its biodiversity and location. The property contains Central American montane forests and Central American pine-oak forest. Its strategic importance lies in its position adjoining an area already protected by AESMO in the nuclear zone of the Güisayote Biological Reserve thanks to previous funding from IUCN National Committee of the Netherlands (IUCN NL). In addition, Güisayote is strategically significant because it lies within the Montecristo Biological Corridor, which spans the national boundaries of Honduras, Guatemala and El Salvador. The reserve is home to the Resplendent Quetzal(Pharomachrus mocinno),which is listed as Near Threatened by IUCN. Güisayote also shelters a wide range of reptiles such as Pit Viper (Atropoides species) and mammals such as the White-lipped Peccary (Tayassu pecari). Threats to biodiversity include the illegal extraction of plants, timber and animals. Orchids, ferns and mosses are particularly threatened by plant hunters supplying illegal markets, both local and national. In addition, agricultural expansion and the contamination of soils and water, plus the development of roads and settlements, have all served to fragment the forest. The pollution of drinking water is a particular problem for the local communities and the WLT funded property is especially important because it protects the watershed recharge area for Quebrada Oscura, a permanent stream that supplies drinking water to the communities of Santa Lucía and El Ingenio. The municipality of La Labor will hold the land title and manage the property in partnership with AESMO. The municipality and the water boards in the area have also contributed funding towards management costs. The long term protection of this property will prevent forest fragmentation, and WLT’s support for a Keeper of the Wild, Carlos Ardón, adds another level of security to the reserve. 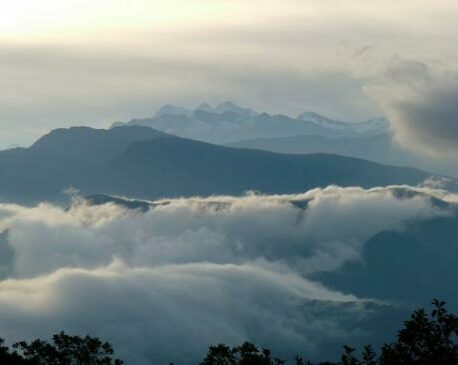 Both Güisayote and Volcán Pacayita Reserves, where WLT has also supported land purchase, are located within the Montecristo Biological Corridor in the Trifinio region of Honduras, Guatemala and El Salvador. AESMO belongs to a conservation network in the Trifinio region, which is working to establish the Montecristo Corridor for biodiversity protection and sustainable use of resources within this area. The Montecristo Corridor is made up of a series of sub-corridors within each of the three countries and concerted conservation action within the corridor is protecting Mesoamerican habitat and species.